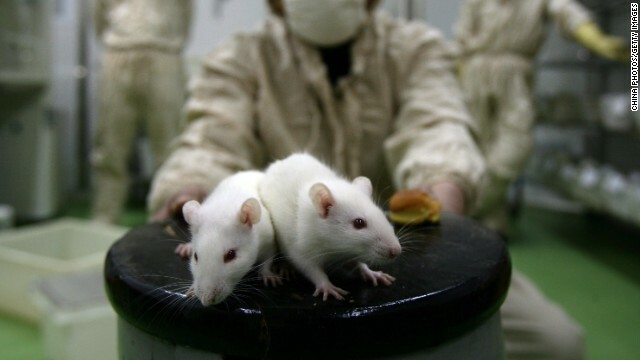 A worker holds white rats at an animal laboratory of a medical school in 2008 in Chongqing, China. China considers allowing sale of some cosmetics without requiring them to be tested on animals. Hong Kong (CNN) — Cosmetic companies and animal rights groups have welcomed a proposal by China to allow sales of some cosmetics without requiring them to be tested on animals. Animal testing would no longer be mandatory for “non-specialized cosmetics”, including shampoo, soaps and certain skin products manufactured in China from June next year, according to a document posted on the website of the China Food and Drug Administration earlier this month. Beauty companies have long faced an ugly dilemma in China. Local laws and regulations require animal testing for cosmetic products sold in the country, which has made the lucrative market a tricky area for brands that want to sell in China without alienating consumers in other places that frown upon animal testing. “Non-specialized cosmetics produced in China could avoid toxicological testing after going through risk and safety checks,” the China Food and Drug Administration said. Imported cosmetics are not covered in the proposal. But the document indicated that China would gradually ease regulations on animal testing, which would allow more international firms opposed to animal testing to enter China’s 134 billion yuan ($22 billion) cosmetics market. Current regulations require all cosmetics to go through a lengthy approval process known as “toxicological testing” which involves testing on animals like rabbits and guinea pigs. “The Body Shop welcomes the signals that the Chinese authorities are adopting a new approach to cosmetic testing,” spokeswoman Louise Terry said in emailed comments from London. Cosmetic brand Urban Decay last year abandoned plans to sell its products in China in response to pressure from consumers and campaign groups, according to Cruelty Free International. Dave Neale, animal welfare director at campaign group Animal Asia, told CNN the planned changes had come quicker than expected given that local campaigns against animal testing have only been going for two years. Earlier this year, a complete ban on the sale of cosmetics developed through animal testing took effect in the European Union. But Neale added that this proposal would not mark the end of animal testing in China. “As far as I’m aware, products can still be tested on animals. It just opens the opportunity for non-animal products to be sold,” he said.